An environment clean and conducive to regular social gatherings, even at the most spontaneous moments, is often the reality of the typical aristocrat. Having and maintaining a ‘clean lined’ and a clean environment, at all times, is therefore of equal importance and not just a matter of course but also priority. Dirt spots and stains get zero votes; and the highest standard of efficiency and professionalism is needed to provide carpet cleaning service in such environments so as to ensure the correct treatment and preservation of expensive furniture and household fixtures and fittings. 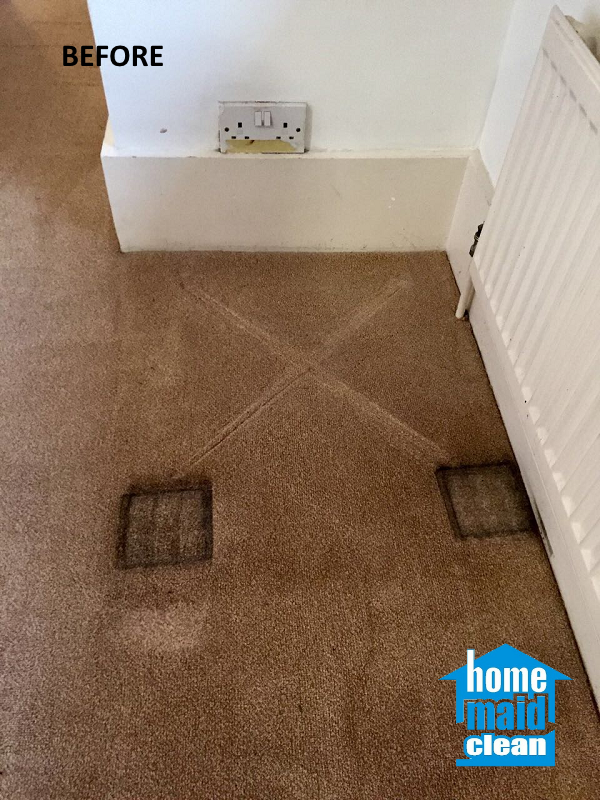 There is always the dilemma of trying to get the job done and getting the best service with the kind of skills and expertise that will ensure that the carpet cleaning process does not mean damage to valuables. Our customer in this aristocratic household did well in seeking the carpet cleaning services of Home Maid Clean to get rid of unsightly brown stains on a carpet in their living room area. The location of some of the stains (under the leg of a heavy piece of furniture) made cleaning these stains a bit of a challenge, but nothing outside the skills and abilities of cleaners trained by Home Maid Clean. With our newest, state of the art equipment (read more on our recent carpet cleaning equipment upgrade), our carpet cleaners administered the most effect carpet steam cleaning procedure on this carpet. Even the heavy furniture was removed for thorough stain removal by steam cleaning. The ugly brown stains were completely removed, even from below the foot of a heavy piece of luxurious furniture! 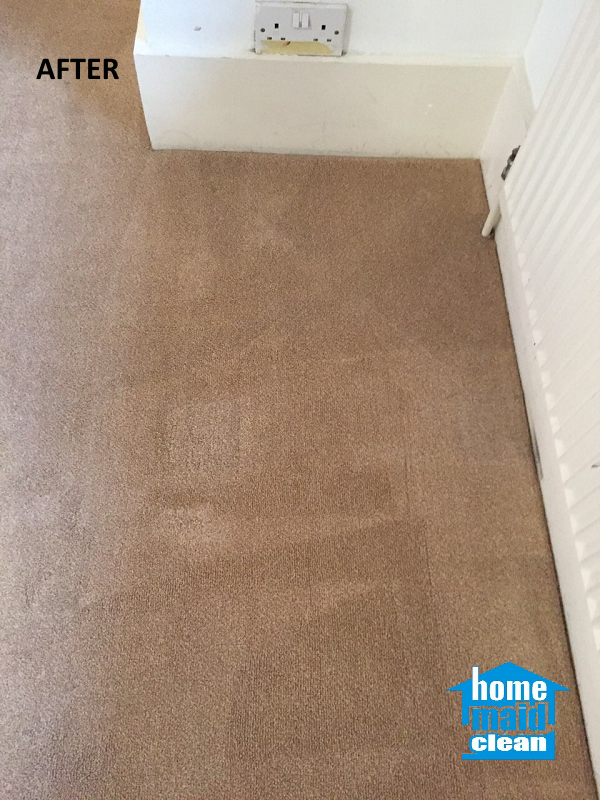 The colour of the carpet was restored to its natural radiance, much to the delight of the owners who were given the pleasure of not just seeing their carpet cleaned to perfection, but who also did not have to contend with water left in the carpet after cleaning. Thanks to our powerful, state of the art steam cleaner, the Mytee Speedster, removing water from steam cleaning is now done even more effectively! Our customers may now be sure that their rugs won’t be compromised by trapped moisture! We clean rugs and carpets of any size and type anywhere in London, including Persian, Turkish, Chinese, Indian and Oriental carpets.